You can find this coupon here. Print off the coupon and bring it into participating stores only. Coupon is valid only in Canada and only between July 14 to 16, 2013. Easily the most powerful concoction we’ve created. 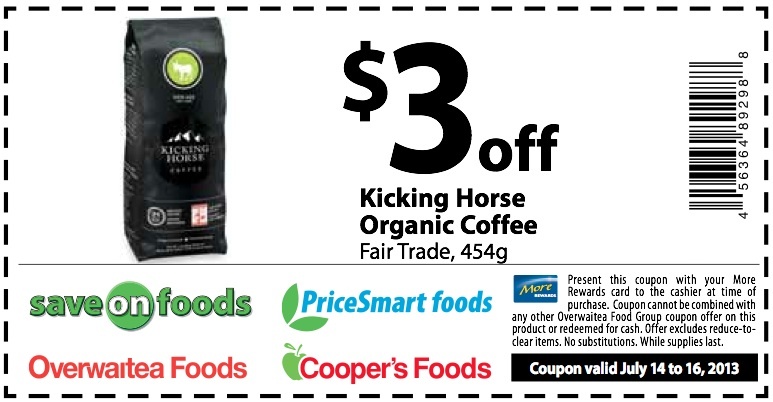 454 Horse Power is an Indonesian-based heavy-bodied coffee with an earthy taste. 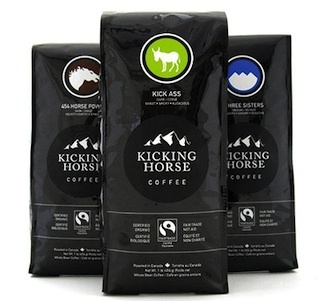 Kicking Horse Coffee’s lone female roaster took it upon herself to give the blend its now-infamous name, because this blend gets fired up to 454 degrees. Be forewarned: don’t tangle with this horse unless you’re prepared to get bucked.